Also, I was surprised to see the US show a decrease. But I’d like to know their methodology, as I’m not sure I buy it. Finally, something to keep in mind moving forward is the penetration of cellular handsets. 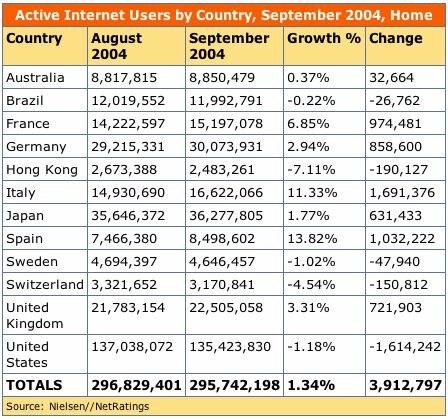 I believe the US is approaching 200 million users and an increasing number of these will have Internet access.